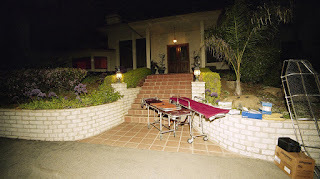 Twenty years ago, in 1997, a bizarre story hit the national news: Thirty-nine people had killed themselves by drinking poison in a mansion near San Diego. All 39 were dressed identically and had the same haircuts — and they were all members of the Heaven's Gate cult. In their videotaped farewell messages, they insisted their suicides were not a final death; they were simply shedding their earthly bodies in order to meet a UFO they believed was trailing the Hale-Bopp comet — a UFO that would transport them to the kingdom of heaven. Their story had a powerful impact on Glynn Washington, host of WNYC's Snap Judgment. "I couldn't stop watching," he says. "I was staring ... because it, in a lot of ways, it felt like that was something that my group could have done." When Washington was growing up in Michigan in the 1970s and '80s, his family belonged to a different apocalyptic faith organization called the Worldwide Church of God. 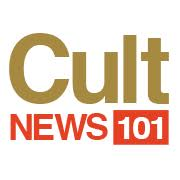 Washington recognized a lot of what he saw in that 1997 news story, and now he brings that recognition to Heaven's Gate, his 10-episode podcast about the cult and its members. My group was called the Worldwide Church of God, as you mentioned earlier, and we had this apocalyptic leader. And I grew up being told that I wouldn't make it through the end of my teens, that the world would be enveloped in this fiery, apocalyptic scene, and that a few of the "callen," a few of the chosen, just a few, would make it out. "Look to your left and look to your right, and only one-third of this particular congregation is going to do it. Are you going to be one of the chosen?" sort of thing. And so to see that similar apocalyptic vision from another organization — it was so compelling. ... The people that we were able to speak to and that we were able to investigate their stories — the more that you get into someone's stories, the less they become an other. And these were real people with families that cared about them, with goals and aspirations. And they were swept into this cult. That if the founder of my group had said to drink some Kool-Aid, 70 percent of us would have downed it an instant. I hope that the people that I spoke to came away from our interviews feeling like I wasn't trying to exploit them. Because we have almost a shared history, and thank goodness that my particular organization didn't end up in a mansion the way that Heaven's Gate did. But I know this: That if the founder of my group had said to drink some Kool-Aid, 70 percent of us would have downed it an instant. I keep asking myself that question. I left in my late teens and I've tried to forget it for a long time. But yeah, that question: If Herbert W. Armstrong, the founder of the group, had said, "Drink this. This is gonna take you to paradise," would I have downed that bottle? I have absolutely no idea, and that, I think, gets to the heart of why I really wanted to do this project. I think that a lot of people are searching for some connection to the divine. And once they find it, they are going to take that all the way to the end. And oftentimes I think what really came out in this work was that it's the community that really kept people in this group; that these were people that are oftentimes, before the Heaven's Gate organization, they felt like misfit toys. And the Heaven's Gate organization gave them a home, gave them a place, gave them a future, gave them a goal. And when you do that to someone — when you give them love when they haven't felt that type of love or that type of a belonging before — it's not even so much the theology anymore, it's that warmth, that sense of home that keeps them in that group. And community is powerful, really, really powerful. There are definitely people who believe the teachings of ... Ti and Do, the leaders of Heaven's Gate — that they were divine and that they did in fact go to the next level and get on an interstellar craft when they committed that act in the San Diego mansion. ... There are a lot of different groups and organizations that would vie for the mantle of the repository of the knowledge of the Heaven's Gate crew. And what they all believe at this time, I just do not feel comfortable saying. Let me just say this: There's a lot of belief out there, and some people who feel that they missed their chance when the people in that San Diego mansion did that ultimate deed. Fatma Tanis and Jessica Deahl produced and edited this story for broadcast. Sydnee Monday and Nicole Cohen adapted it for the Web.